Genomic technologies are among the most important experimental tools in modern research. Their importance will unquestionably grow in the coming years as declining prices allow for ever-larger projects, powerful new instrumentation provides increasingly precise data, and entirely novel applications appear. 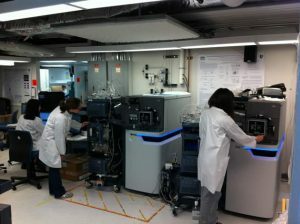 The School of Medicine, the Duke Center for Genomic and Computational Biology, and the Duke Cancer Institute all collaboratively work with the Proteomics and Metabolomics Shared Resource to provide protein characterization resources for the Duke Research Community and our partners. 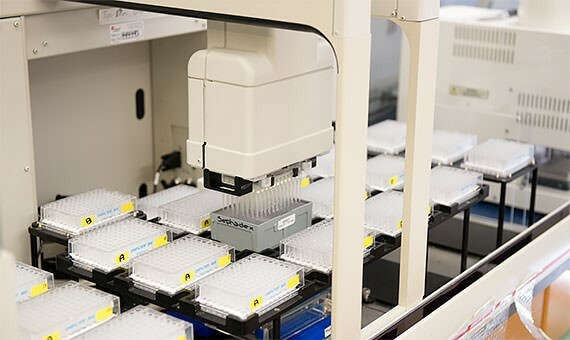 These services include protein identification and protein quantitation from a wide variety of sample types from simple mixtures (gel spots and bands) to complex mixtures (protein complexes, cell lysates, and plasma). For more information about the Duke Sequencing and Genomic Technology core click here.